First of all, the type of glass really does matter! Again, I just always drank out of the cutest glass that I could find but there is a method to the madness. Never drink a chilled wine (white or sparkling) out of a stemless glass! The heat from your hand will warm up the wine and make it taste flat. That being said if you are using a glass with a stem always hold the stem for the same reason. Plus who likes a warm glass of white wine? Not me! 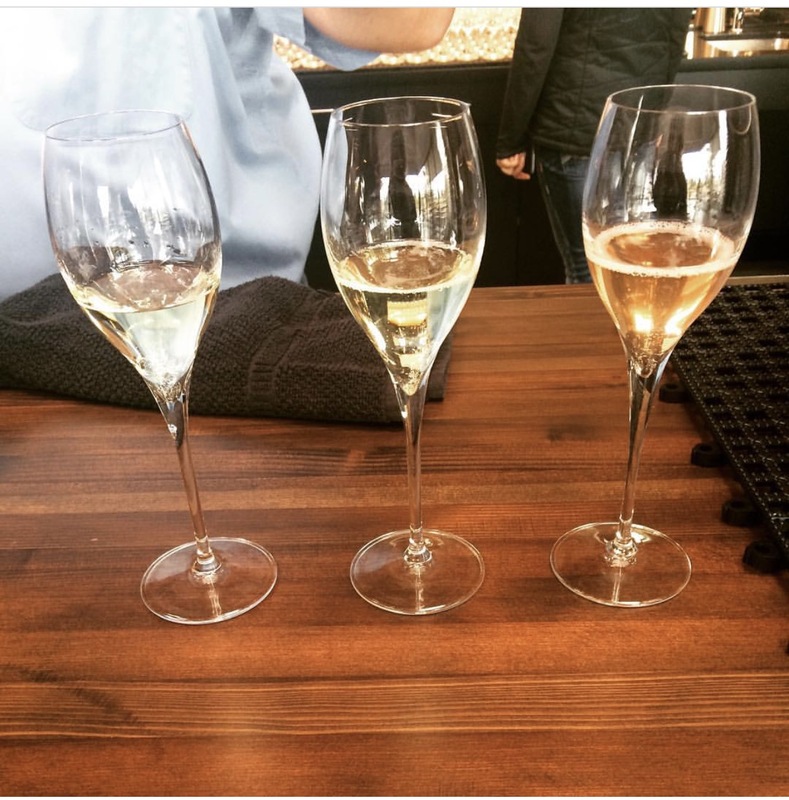 Sparkling wine and champagne should always be drank out of a champagne style glass. They let in less oxygen and help your bubbly stay bubbly! 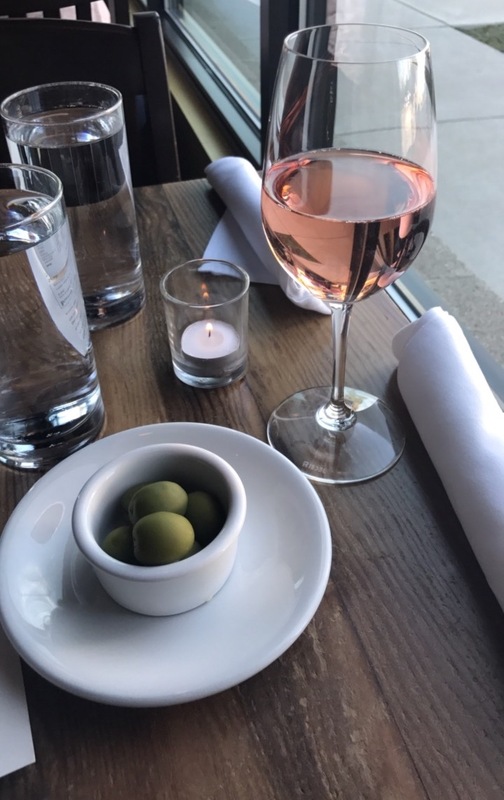 The shape of the glass allows the wine to hit different spots in your mouth and also allows for you to taste it properly. 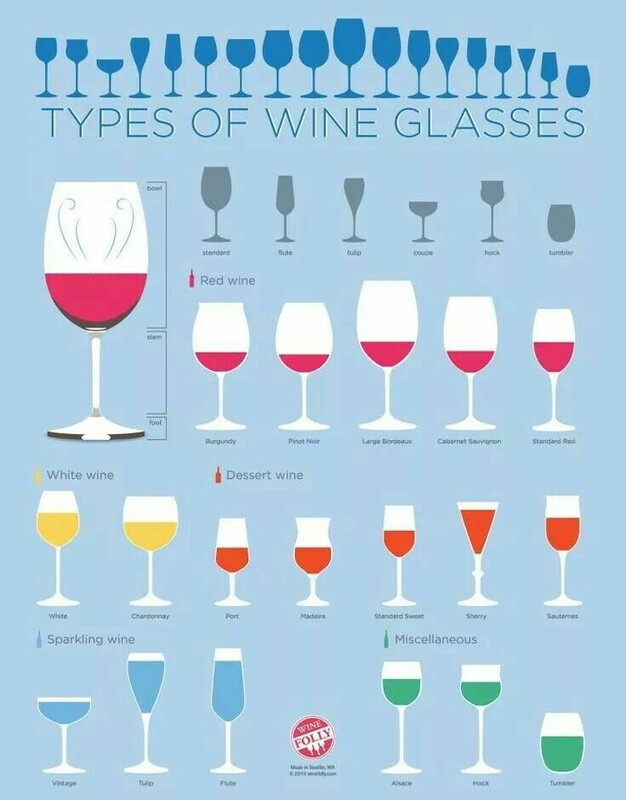 Here is an cheat sheet to help you know which glass to use when! Another fun tip that I learned is that when smelling your wine before tasting it you shouldn't take one big long sniff, rather you should take three short fast sniffs. The instructor made a reference to how a dog smells things. They don't take big long sniffs. They always take quick short ones and they have the best sense of smell! Doing this will help you take in the aroma better! Did you know that your should swish you wine! Ah! I know... it is terrifying to me to! I am so worried about it damaging and staining my teeth! I'm not going to lie I have drank my wine with a straw before because of it. But not anymore! If you swish your wine then it coats your whole mouth and you can taste it better! Cheese should not be used as a pallet cleanser. While it is a great pairing to certain wines the cheese coats your mouth and doesn't allow for you to get the full flavor range. You should use something acidic like an apple to cleanse your pallet, or something bland like a plain cracker! Here's a little history lesson for you! Back in the day the men that used to purchase and sell wine had a saying "buy on apples and sell on cheese". This meant that when they were purchasing wine they would eat apples in between tastings so that they could cleanse their pallet and taste it properly but when they were selling it they would serve cheese so that the people buying wouldn't be able to tell the difference between they high quality expensive wine and the cheap wine. Thus, they could sell more of the cheap wine! Now I will say that some cheeses pair really well with certain wines and you should take that bottle home and serve up a fun snack tray to include cheese. Just don't eat cheese when you are purchasing the bottle! Now that I have shared my 101 with you, go pour yourself a glass and get your tasting on! Such a good post! I am totally saving this wine glass cheat sheet! Who knew, right?! I am all about that adorable stemless glass but not anymore! Thanks babe! :) The research was the best part! Lol!